The FL is universally suitable for many standard applications. It is hygienic, gentle, low-maintenance, durable and economical. The Fristam FL3 features unique helical three-winged rotors and is specifically designed for revolution speeds of up to 1,000 min–1 as well as for CIP return processes. This saves you an additional pump in a bypass line. All models are compact, very easy to clean as well as fully capable of CIP and SIP. 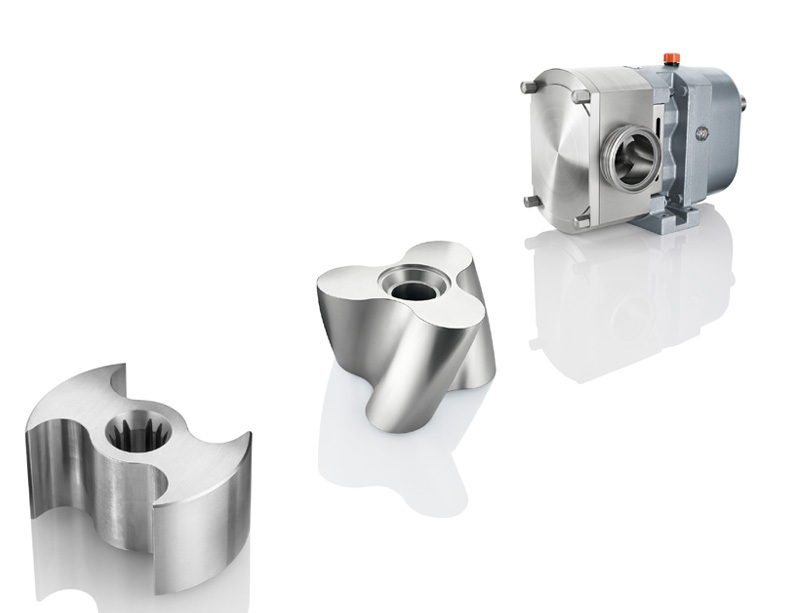 All of the FL series’ pumps have a state-of-the-art system of low-slip lobes rotating free of contact in opposite directions, thus ensuring high efficiency even with low viscosities or at high temperatures. The FL’s symmetric design allows for a reversal of the rotating direction, enabling the pump to transport materials in both directions.